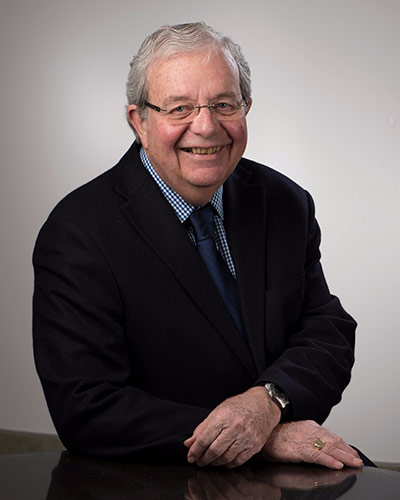 After many years as a Sole Practitioner in the Kitchener-Waterloo area, Jim joined Madorin, Snyder LLP as Counsel in 2008. Jim received an undergraduate degree in Honors Geology from the University of Western Ontario, and was called to the Bar in 1966. He was a trust officer and estate planner with Waterloo Trust and Savings Company until 1969, and then joined Mackay, Kirvan & Guy. He became a Sole Practitioner in 1980. In his spare time, he lectured on Planning & Environmental Law at Wilfrid Laurier University. Jim is a member and past President of the Waterloo Gyro Club, and a trustee of the K-W Symphony Foundation. He and his wife Mary enjoy travelling in remote areas such as Antartica, the Northwest Passage, the High Andes in Peru, and Greenland.